The past three weeks have been a whirlwind: leaving Boston and flying to Lancaster, PA for my brother’s wedding, then heading to Denver and establishing a new summer life here. We have LOVED all the sweet time with family and feel so blessed to be close to them for these few months. 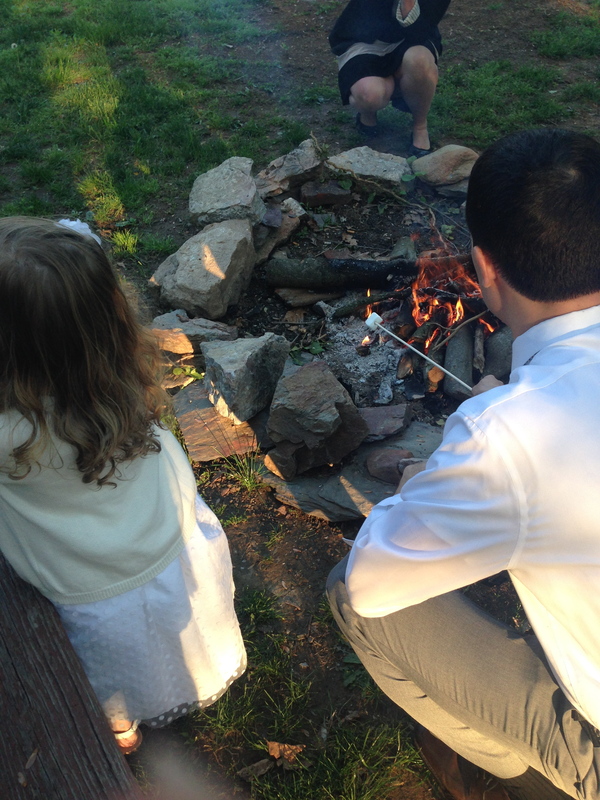 Corbin and Sheila had a fire pit with ‘smores at their wedding! Alex and Audrey had tons of fun together. 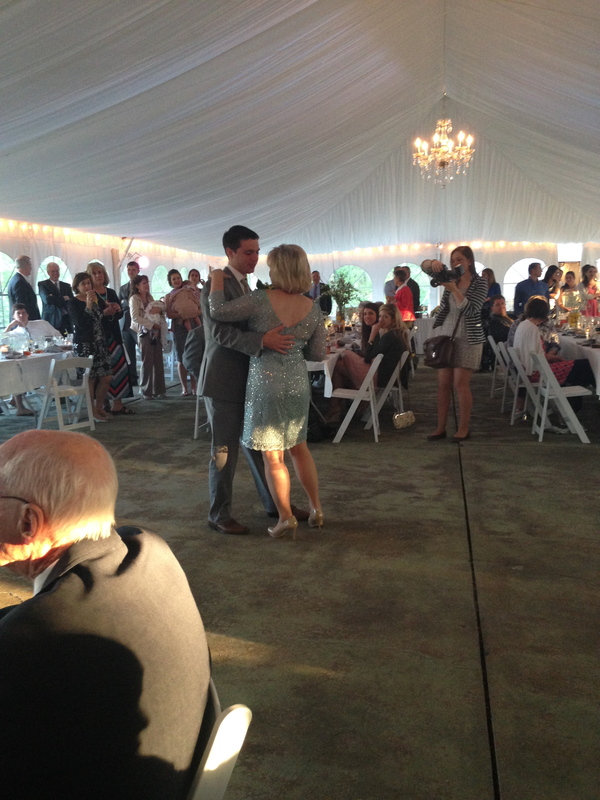 Mom and Corbin shared a sweet mother-son dance at the reception. 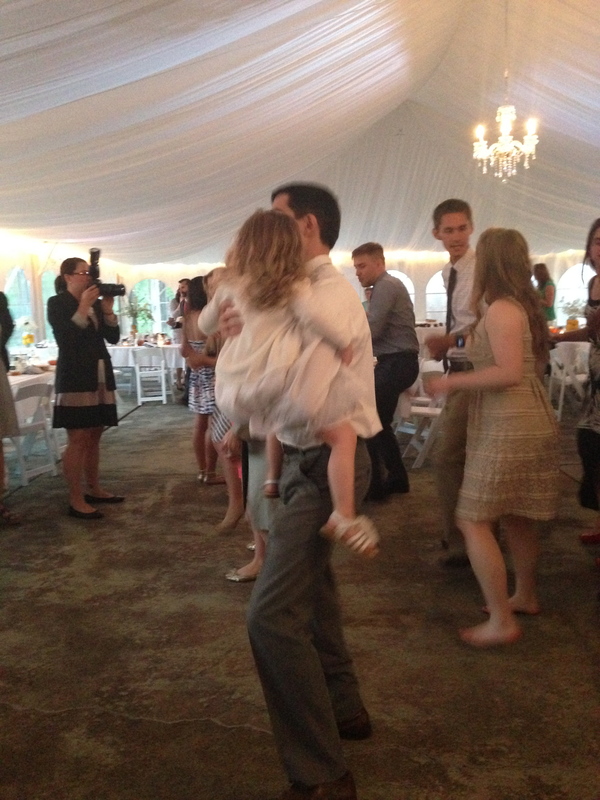 Alex danced and danced together. Audrey stayed up waaaay past her bedtime two nights and a row and was so sleepy she laid her head on his shoulder. But she never fell asleep– too much excitement! Audrey was an absolute trooper of a traveler and loved riding on buses and taxis to get to and from the airport. 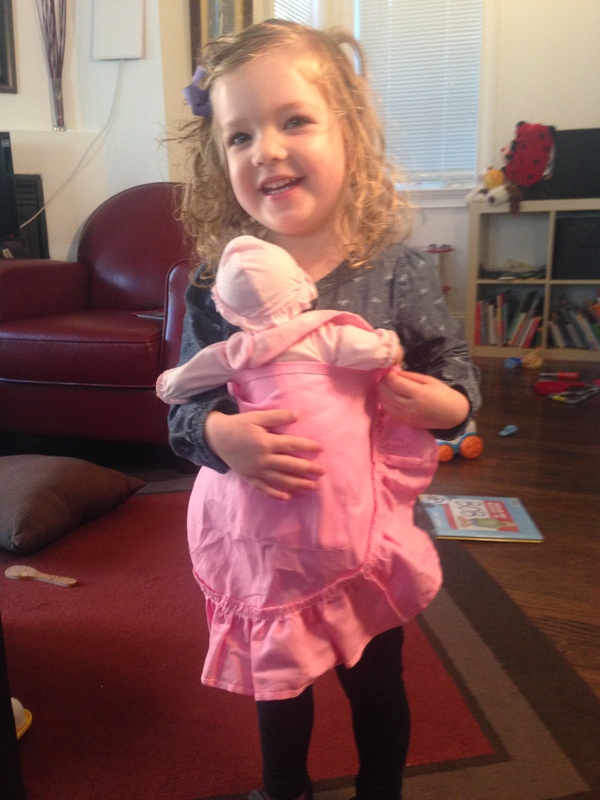 She wanted to hold her new dolly from Great-Grandmother all the way from Lancaster to Denver. 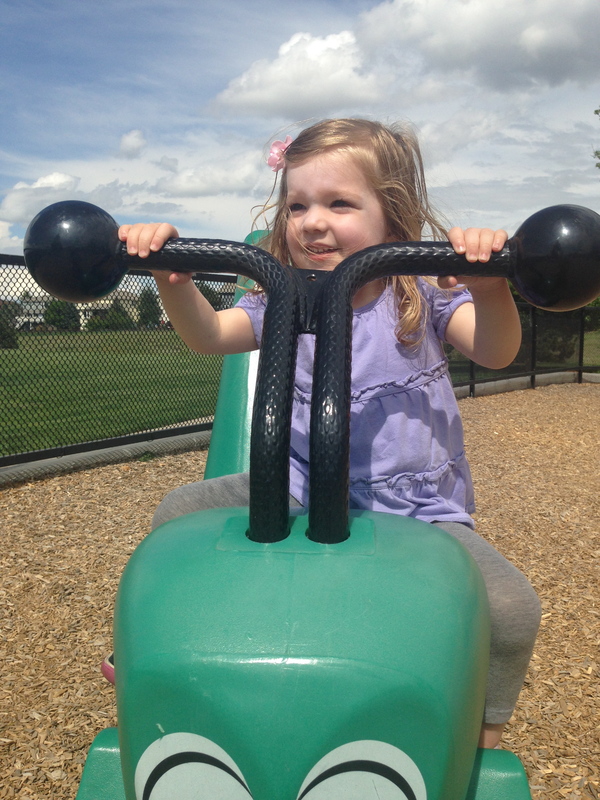 After being accustomed to city living and no yard, Audrey has loved playing in Nonna’s front yard. 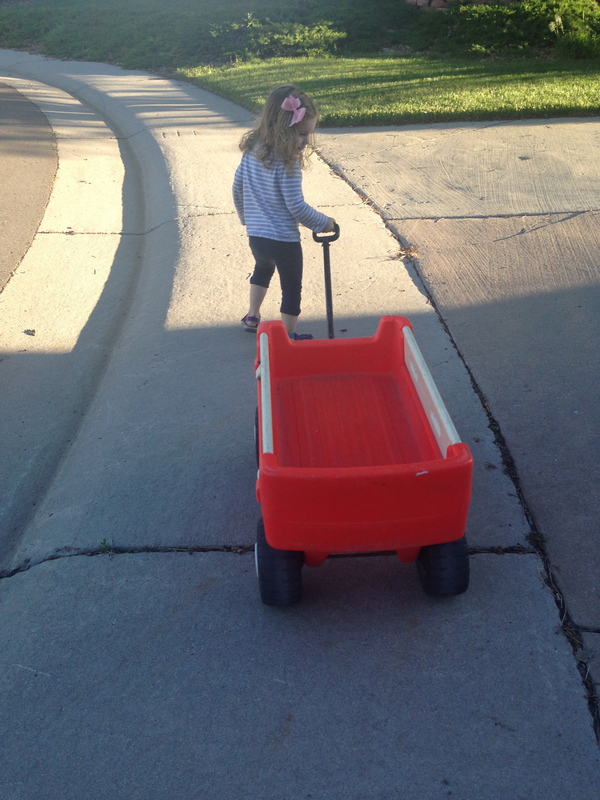 Audrey fell in love with the wagon I rode in as a child. So sweet! Alex took an impromptu trip to Portland over Memorial Day weekend to help his Dad pack up his childhood home. 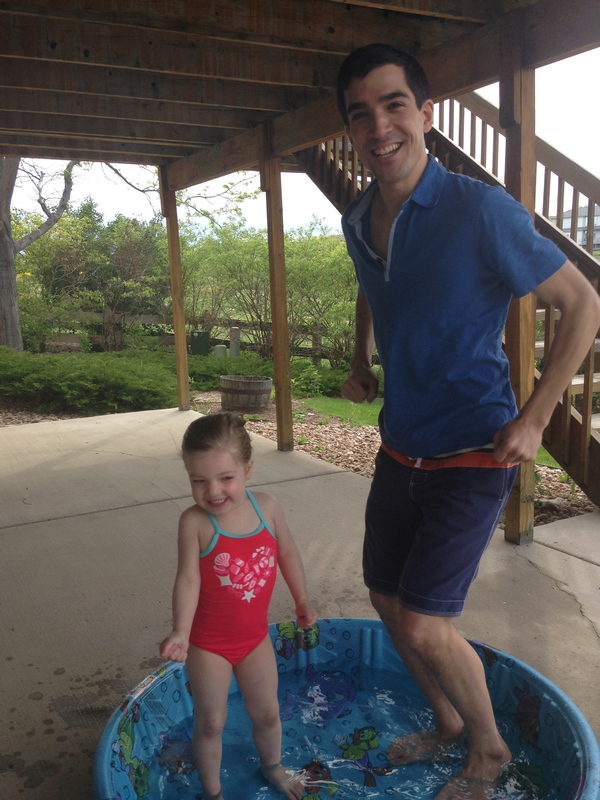 When he got home, we bought a kiddie pool and played in the backyard despite the somewhat frigid temperatures. 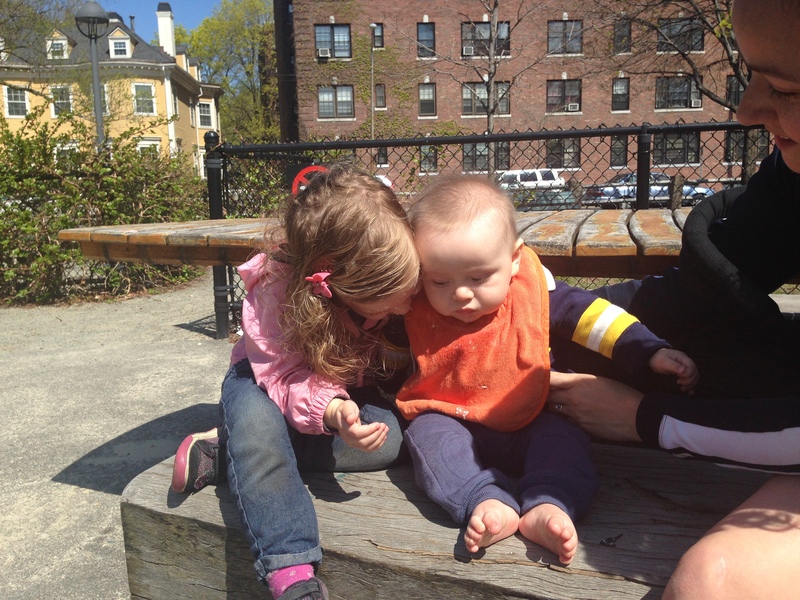 Playing at Nonna’s park. Look at that beautiful blue sky! I love it. 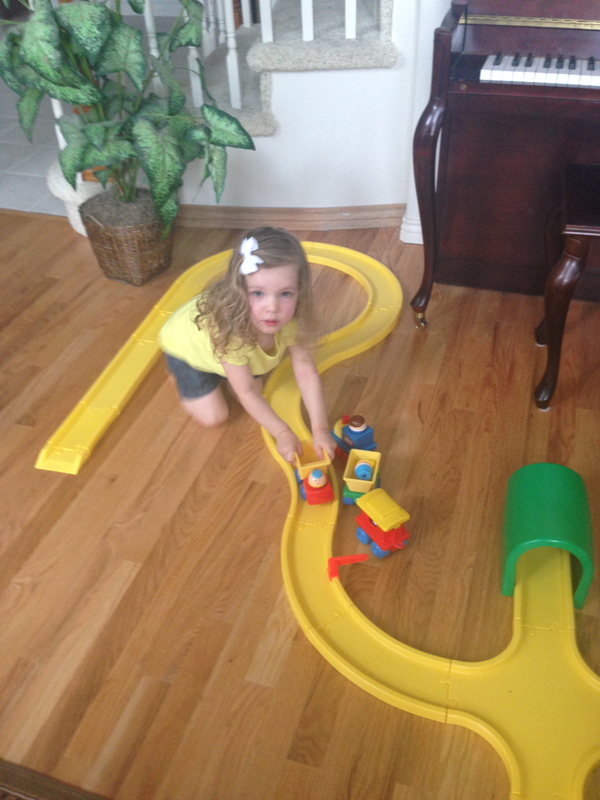 Audrey playing with the train set my Dad bought for Tiffany and me when we were little girls. 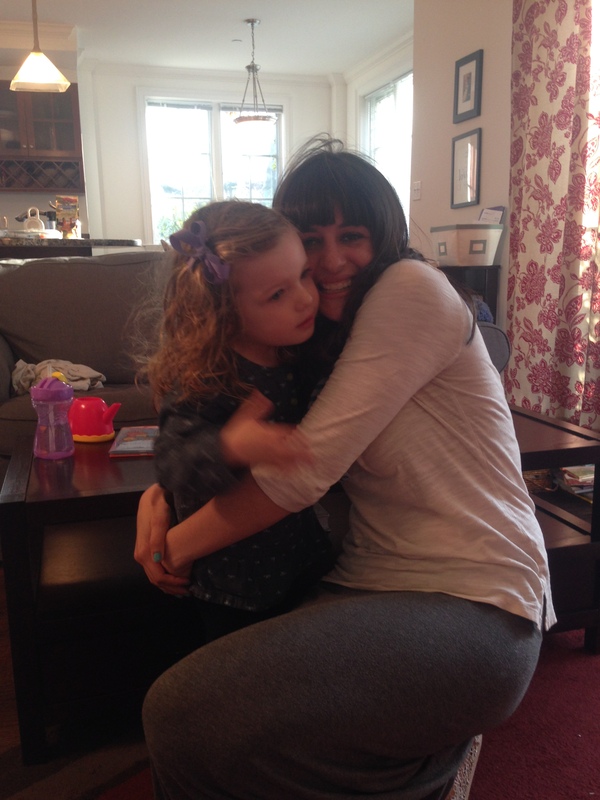 Audrey ADORES her Aunt Tiffy. 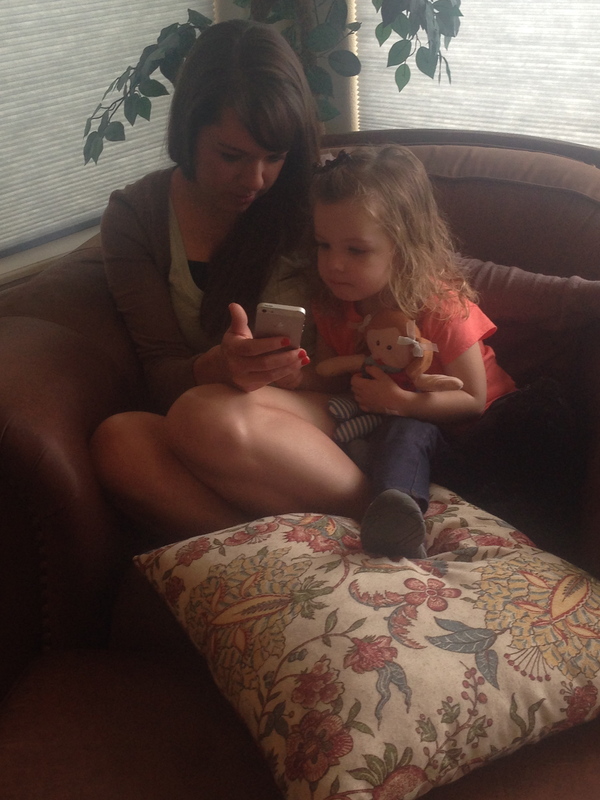 There have been lots of games of hide-and-seek and looking at pictures on Tiffy’s phone. I plan. This past semester, I knew I had a long (25 page) paper plus a heavy reading load. I chose a paper topic and started researching at the very beginning of the semester because I knew I would need to work in small chunks of time and wouldn’t be able to cram it all in at the end. I also decided that Monday and Tuesday would be my reading days and Wednesday through Friday would be for working on my paper. I work when Audrey is asleep. I am fortunate that Audrey still naps 1.5-2 hours each afternoon. I ended up using about half of that time to rest and the other half to work on school work. Even though it took discipline to get things done during that period, I found myself mentally refreshed after working and ready to go back to being mom when nap time was over. I also worked some in the evenings after she was asleep. I have a very helpful husband. Alex has made my classes a priority for him, too, and it is a huge reason I have been able to take classes and do well in them. This past semester he came home an hour earlier than normal on Tuesday nights so I could head off to class. He took Audrey after dinner many nights and on Sunday afternoons the second half of the semester so that I could work on my paper. There is absolutely no way I could have taken a class without his practical support. In other semesters, we have hired a babysitter to come while I am in class, and Alex has been willing to invest financial resources in that. Thank you, sweetheart! For those of you who work on the side, how do you find the time for your projects? I would love to hear! 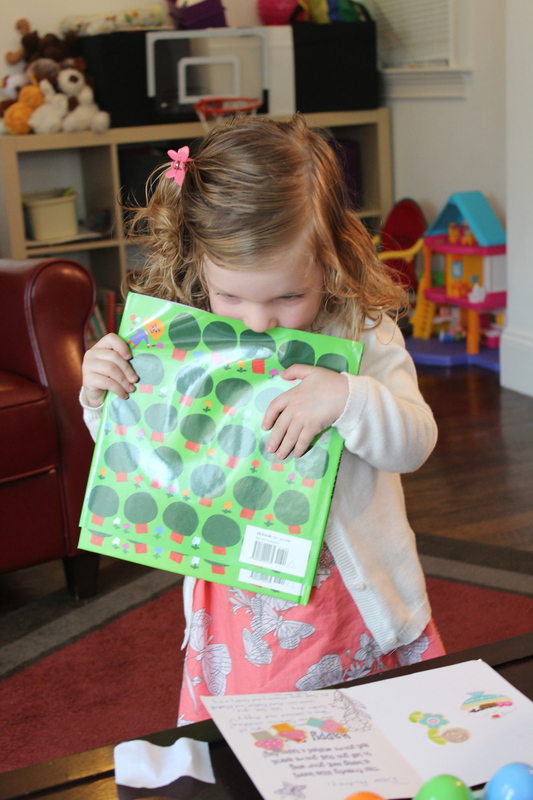 Last fall we discovered the Toddler Curriculum by Children Desiring God and we’ve found it to be a FANTASTIC resource for introducing Audrey to key Bible stories in an age-appropriate way. 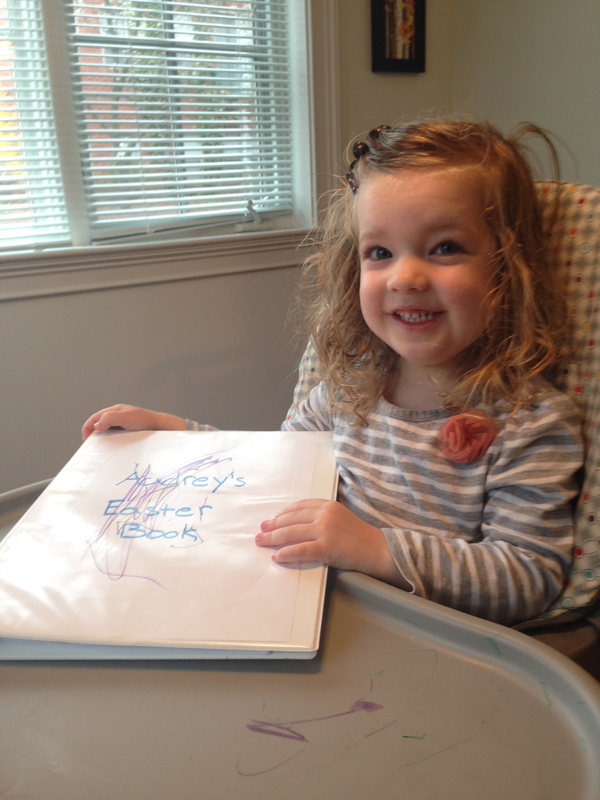 We are also big fans of the “Big Picture Story Bible,” but at 18 months it was still beyond her comprehension level. The Children Desiring God curriculum is designed for Sunday Schools but oh-so-easy to use at home, too. Each story (creation, resurrection, etc.) features 3-5 picture cards (in nice cardstock) and a corresponding “script” to use to tell the story. Each lesson also includes a song and other materials to supplement the main story. There were even coloring pages to correspond to each story (which we didn’t do as often as I wish we had). I felt a little silly going through the cards the first couple of times, but Audrey really seemed to love it, and to catch on, too! 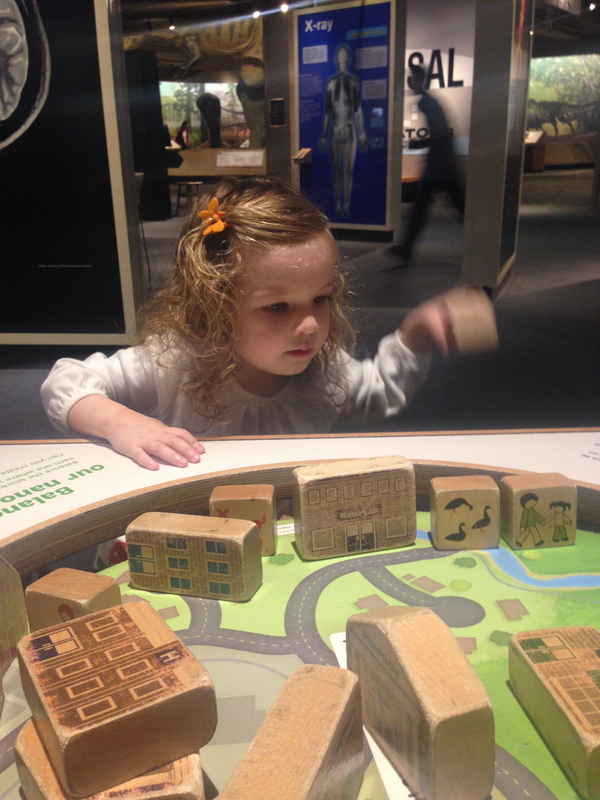 I was impressed with how age appropriate the scripts were; they explained the stories in language she could easily understand. We did the same story for 1-2 weeks to give her a chance to really soak it up before moving on. We ended up ordering the Older Toddler Teacher Booklet and the Older Toddler Story Pictures since both packages include the stories for the younger toddlers. 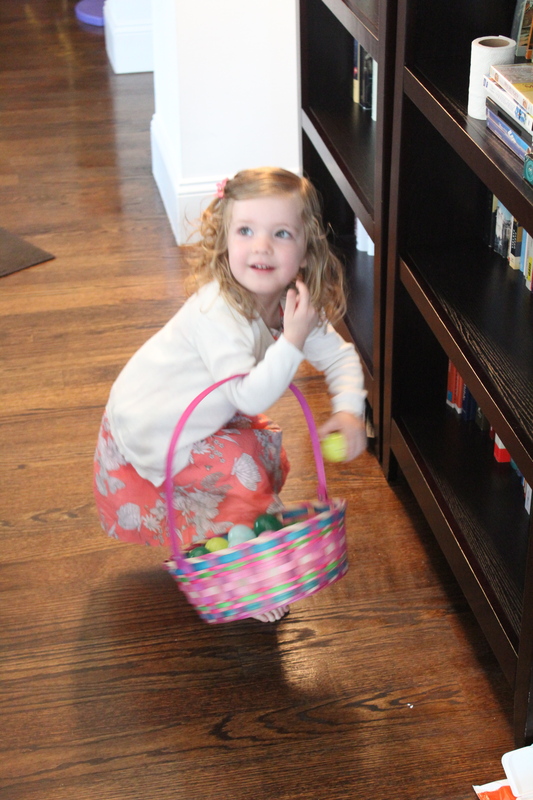 What are your favorite resources for teaching the Bible to your kids? The Harrises are heading westward for the summer! The past week has been a blend of relaxation and craziness as Alex finished school for the semester and we have packed and prepared to head out for the summer. Our first stop is the HIGHLY anticipated wedding of my brother Corbin to the beautiful Sheila this weekend. We are all in the wedding, so if you think of it, pray for my brave aunt, uncle, and cousin who will be wrangling Audrey during the ceremony! The next stop is Denver where Alex will be working for about eight weeks while Audrey and I enjoy some quality time with Aunt Tiffy on her days off and Nonna as well (when she is not in Seattle with Poppa). 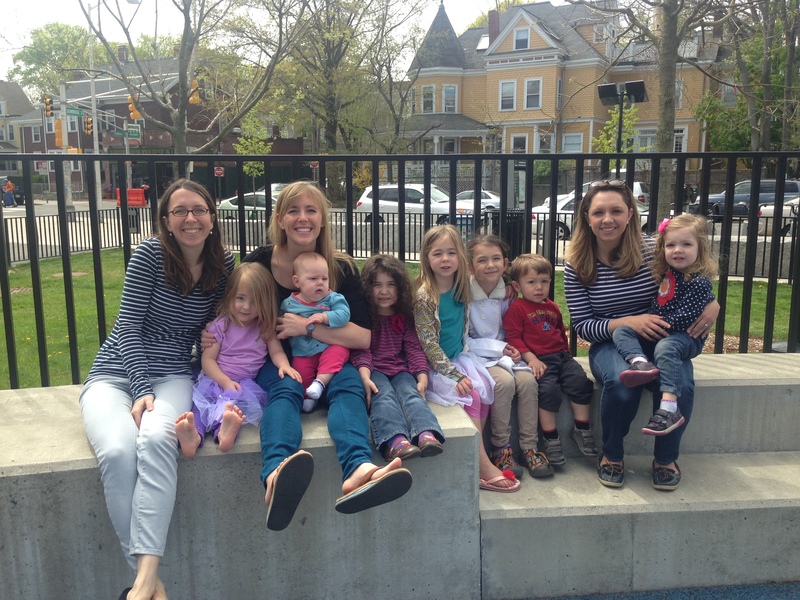 We’re excited for the summer ahead but we’ll miss our dear Boston friends, too! See you in August! I am blessed with an absolutely incredible mother. I admire so many things about her: her love for her Lord and her family, her servant’s heart, and her desire to always keep growing. But today, on Mother’s Day, I am especially grateful for how she listens. My mom is one of the best listeners I know. I remember being a young adolescent girl and having trouble opening up to my parents. I remember my mom sitting on my bed as I cried and cried, waiting patiently for me to choke out the words to describe whatever was on my heart. She wasn’t impatient, even though she had sat in the same place, with the same tears, countless times already. She didn’t rush me or make me feel silly. She waited and she listened. Because she listened, at that critical juncture between childhood and young adulthood, I still turn to her listening ear today. She listens to me now on good days and especially on bad ones. She listens to my brother and my sister, to friends, and to people she doesn’t even know. She’s made me realize that one of the best gifts a person can give is simply a listening ear. Thanks so much, Mom, for showing me the importance of listening. Thanks for making me strive to listen to my own daughter, even when most of what she tells me is about toys or trees or events we’ve already rehearsed a thousand times. We had a last park date with our friends the Williams and the Broggis. Both of their dad/husbands are graduating from HLS in a couple weeks so we will miss them immensely next year! Audrey also had her last evening with Katie, who is also graduating and moving back home. We’ll miss you lots Katie!! 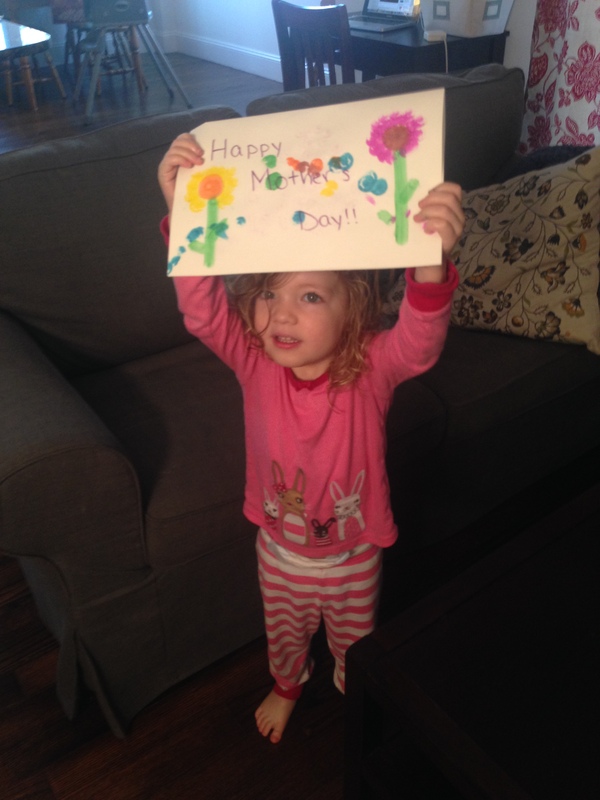 Katie helped Audrey make a Mother’s Day card for me. So sweet! Audrey wanted to wear her “baby Dorothy” just like her friend Miss Chesed, so we improvised with an apron from Grandmother and Audrey wore her “baby carrier” around all morning. 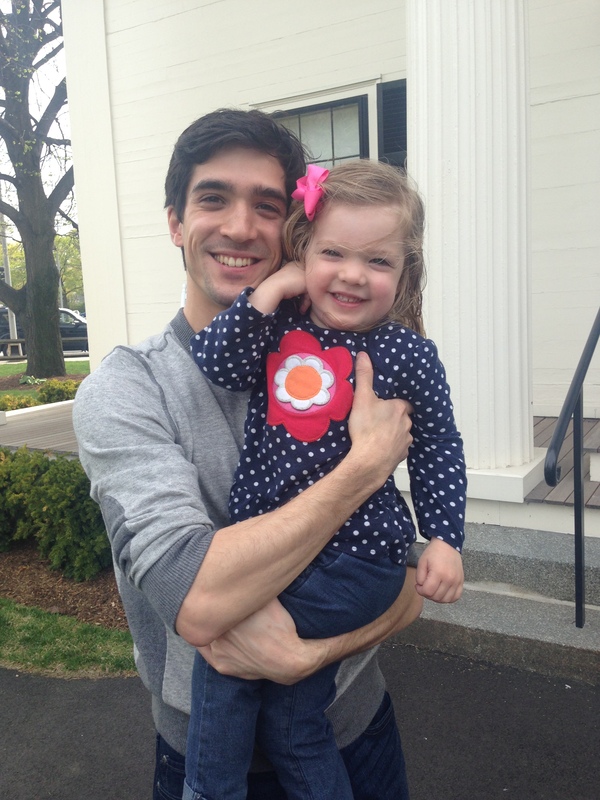 Daddy finished his last exam and is done with 2L!! 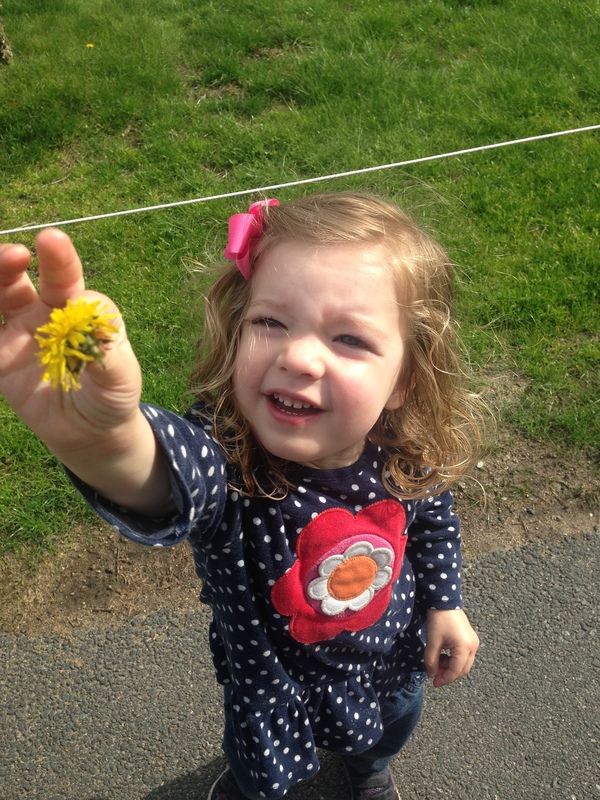 Audrey picked her first dandelions at the law school. 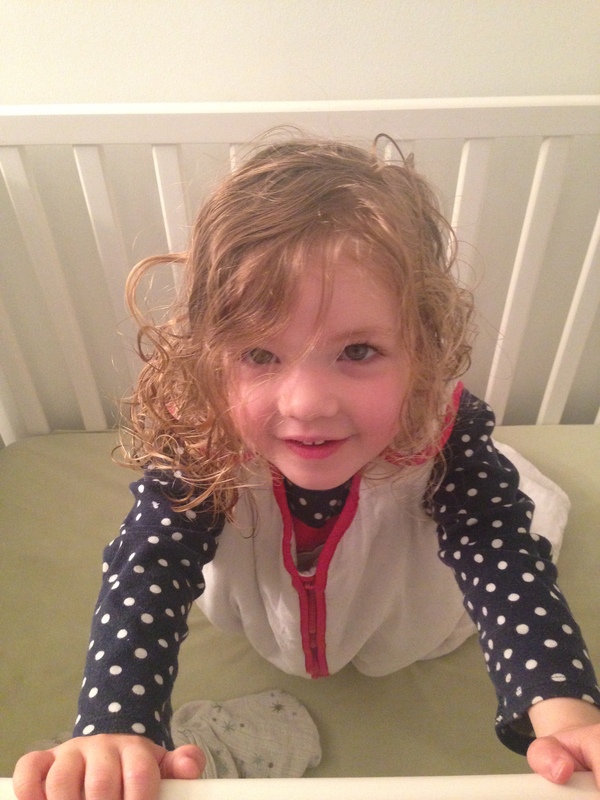 I love this sweet face and her crazy post-nap bed head! It is an intellectual outlet for me. I am so grateful I get to be a full-time mom to Audrey, but I still love the academic world and, let’s face it, reading “Going to the Zoo” for the four hundredth time doesn’t quite scratch my intellectual itch. Taking classes is really my (strange) hobby– I’m not a fan of running or scrapbooking but taking a class is something that I love to do. It gives me a chance to write, think, and converse with other adults. It’s great! It’s an opportunity to take advantage of being in Cambridge. The Harvard Extension school features some phenomenal professors. While I am not trying to get a degree while we’re here in Cambridge (that would be biting off far more than I could chew right now!) I know I will look back and be so glad I took advantage of the academic and intellectual resources while we were here. It is an investment in my future academic life. Someday, whether it is five or twenty-five years from now, I would still love to get my PhD and teach at the university level. Taking some classes that pertain closely to my research interests (Cold War history) is an investment in that future, even if it is a long way off. If you’re a mom, I would LOVE to hear how you balance your passions and your calling as a mom. It’s still something we’re very much trying to figure out and I am so grateful for the chance to have taken classes while Alex is in law school. What do you do on the side to keep your heart, mind, and body active? 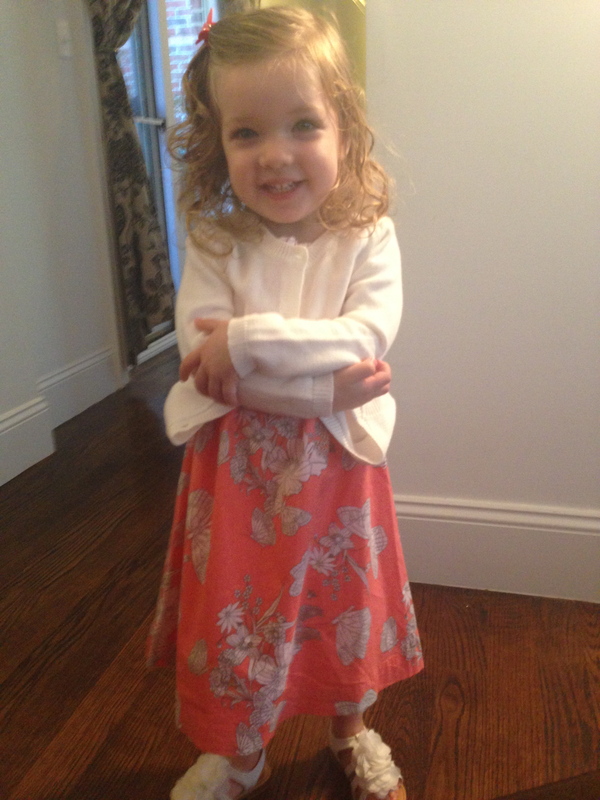 …uncle Corbin is graduating from college today! We wish so much that we could be there to celebrate with him but we’re so proud of him and all he has accomplished! Way to go, CJ! 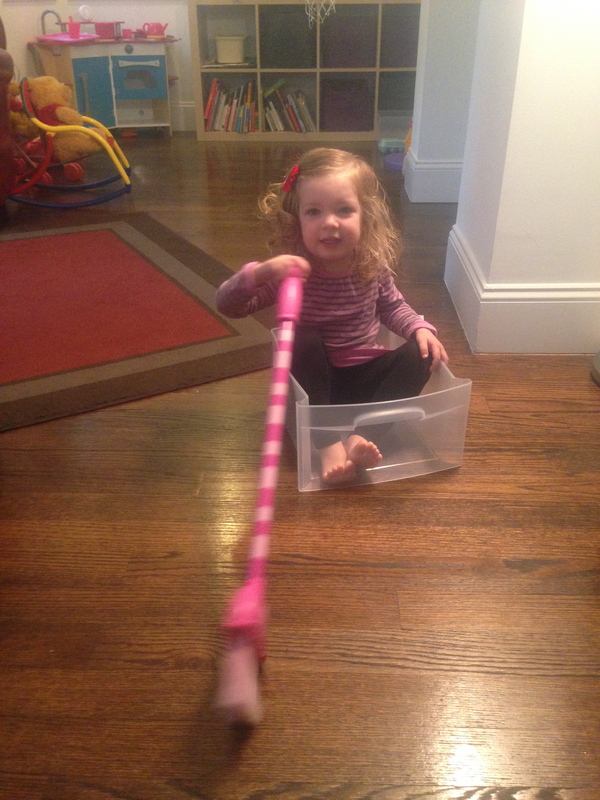 Audrey went “fishing” with her box and broom. 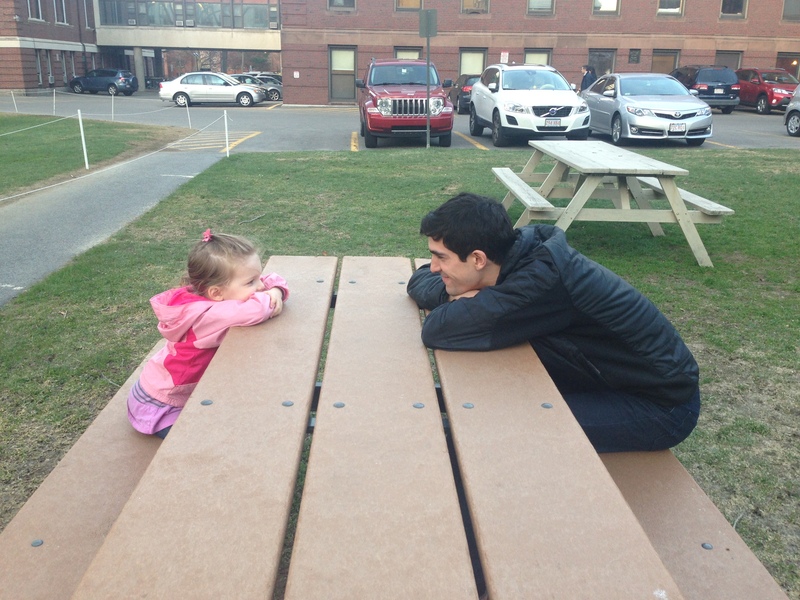 We met Daddy at the Langdell lawn one evening and Audrey had a “meeting” with Daddy at the picnic table. 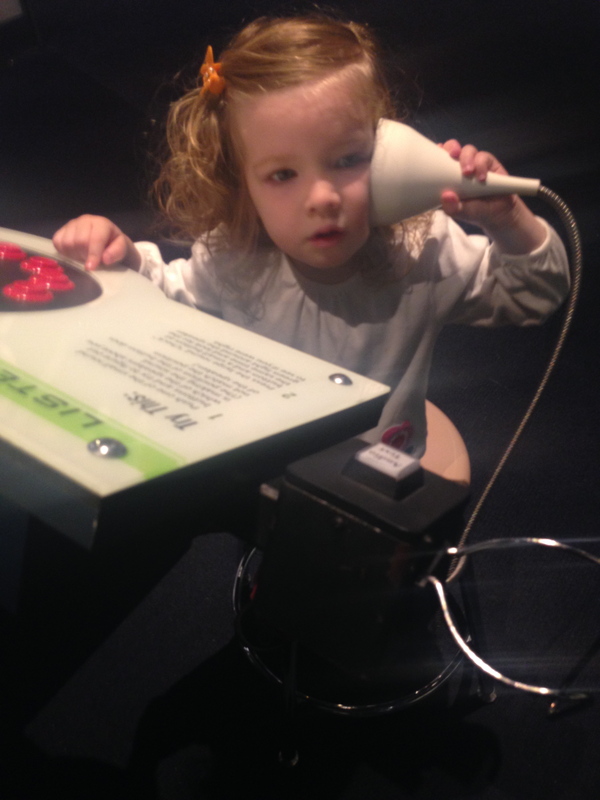 We visited the Science Museum again and had lots of fun! 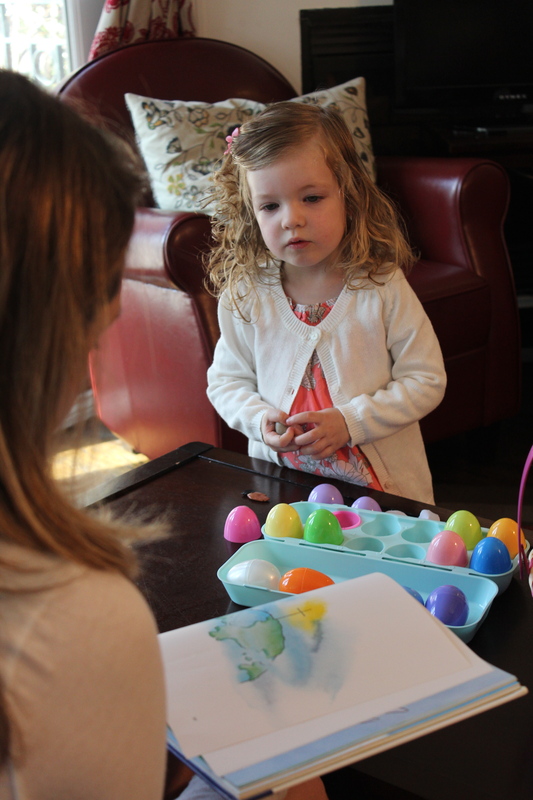 Audrey and I made an “Easter Book” with Easter-related coloring pages since she has been so into the story the past few weeks. 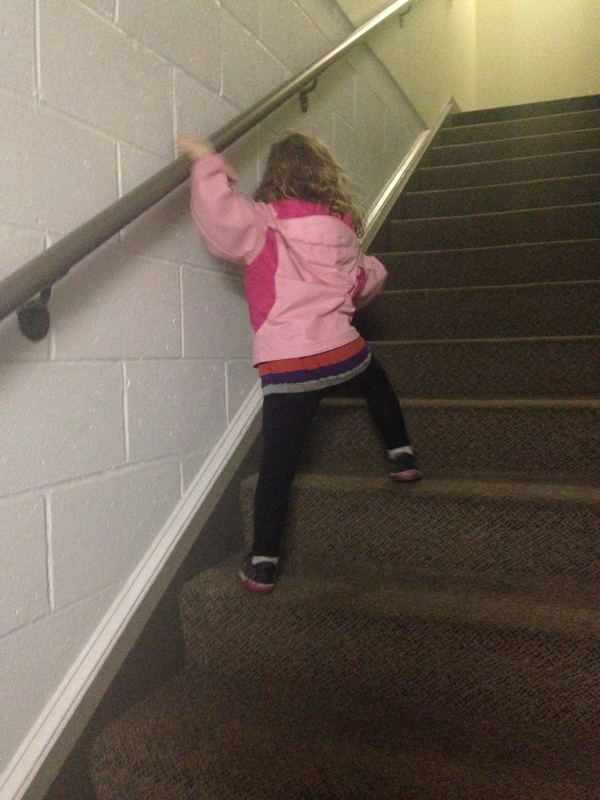 Audrey LOVES when we let her climb the stairs up from the parking garage at the apartment. Finally, we said goodbye for the summer to our friends Leo and Abby. We hope you guys have a great summer and we can’t wait to see you again in September! 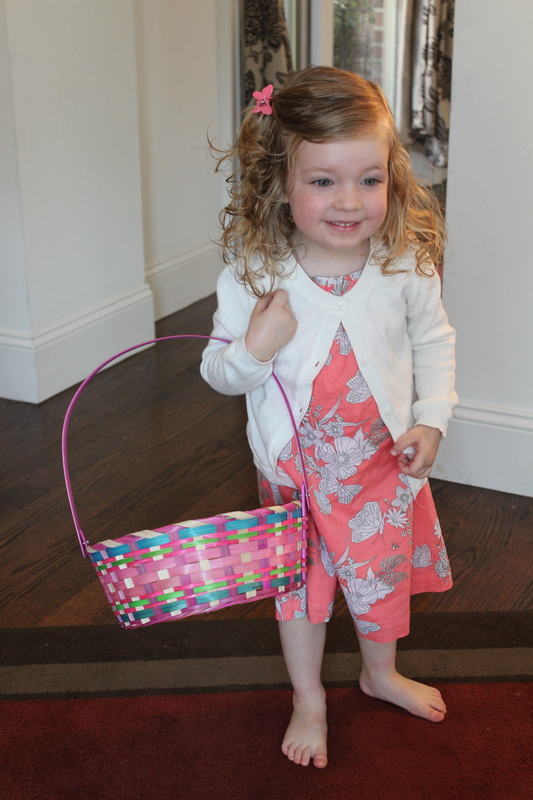 Here are some of the items that were our favorite for Audrey last year! Straw cup: when it was time to transition from a bottle to a cup, Audrey had trouble with the sippy cup concept so we went straight to this small straw cup. When she outgrew that, I found that the larger Playtex straw cups were great as they are easy to wash and the straw can be covered to keep it clean for outings. Cart Cover: I loved how (relatively) compact this cover was and how easily it fit over most shopping carts. The Target carts were always a bit of a stretch, but it was doable. It also fit over high chairs. Costco Wipes and Huggies overnight diapers: for diapering needs. Need I say much more? We were very happy with both, and still use them since we diaper for nap and nights. We often went up one size for the overnight diapers compared to the daytime diaper. 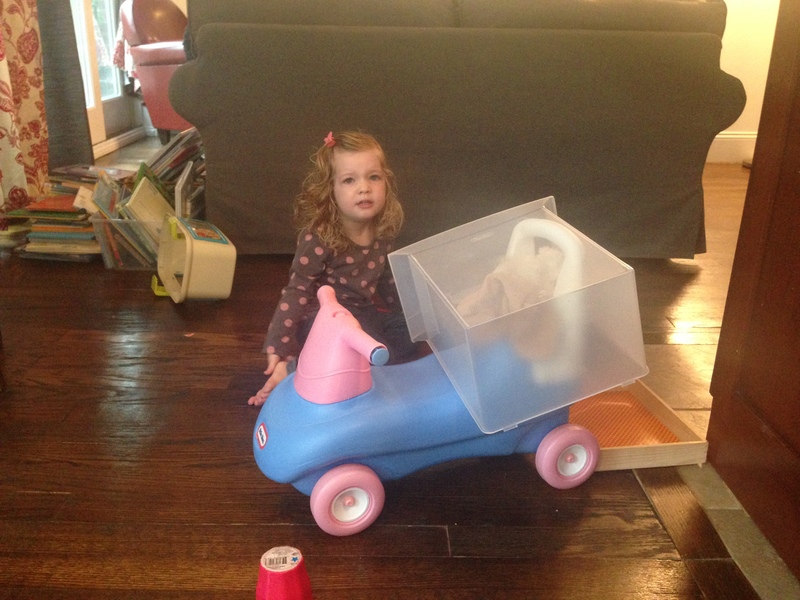 Hape Toys Walker: This was an absolutely wonderful gift Audrey got for Christmas right after she turned one. I was absolutely delighted with how sturdy it was– no tipping over for this walker! Music cube: Audrey adored this simple music toy and often pushed it around in her walker. It was easy to push and played a variety of not-too-annoying tunes. Scooter: Audrey was actually able to figure this out before she turned one and it provided hours of amusement– and still does! 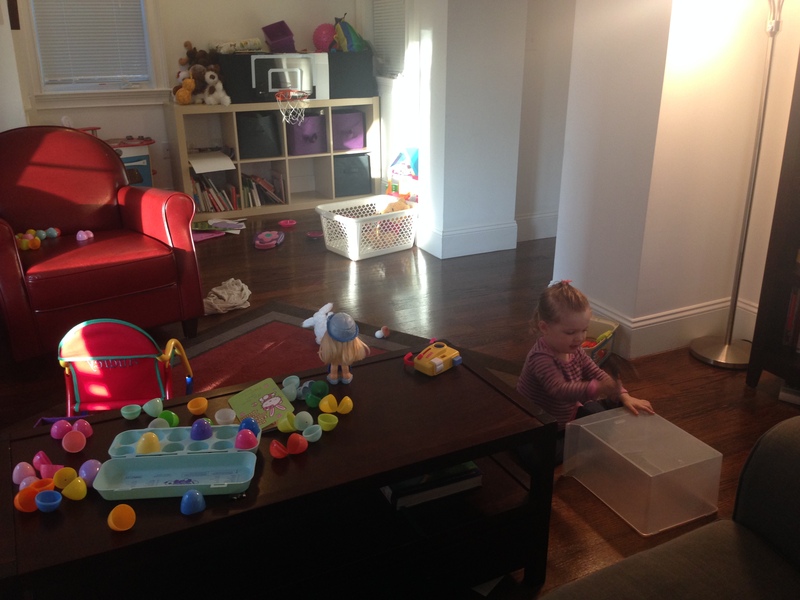 We’ve kept it primarily for inside play and it doesn’t take up too much space. (Note: the current Amazon price is WAY higher than when we got it, so it might be worth shopping around if you are looking to purchase this one). 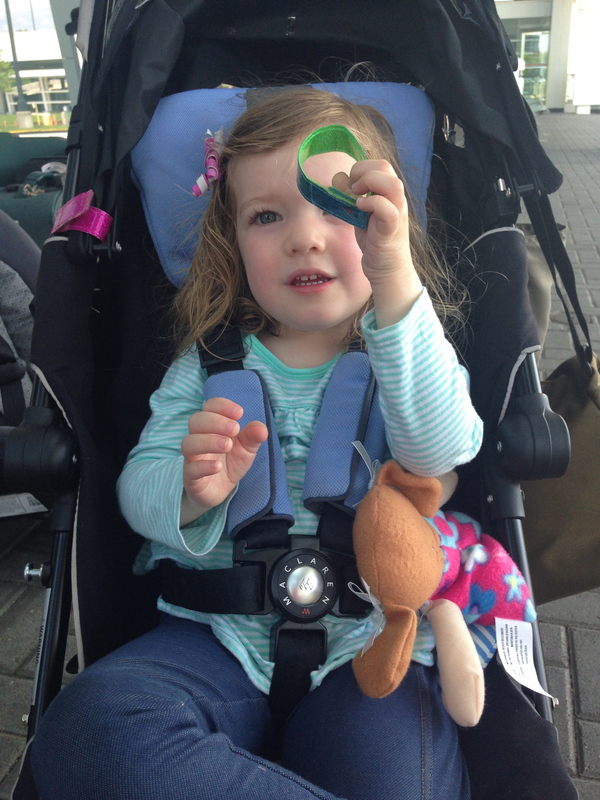 Stroller: We got this inexpensive Target stroller and it is still one of Audrey’s favorites for pushing her stuffed animals around the house. 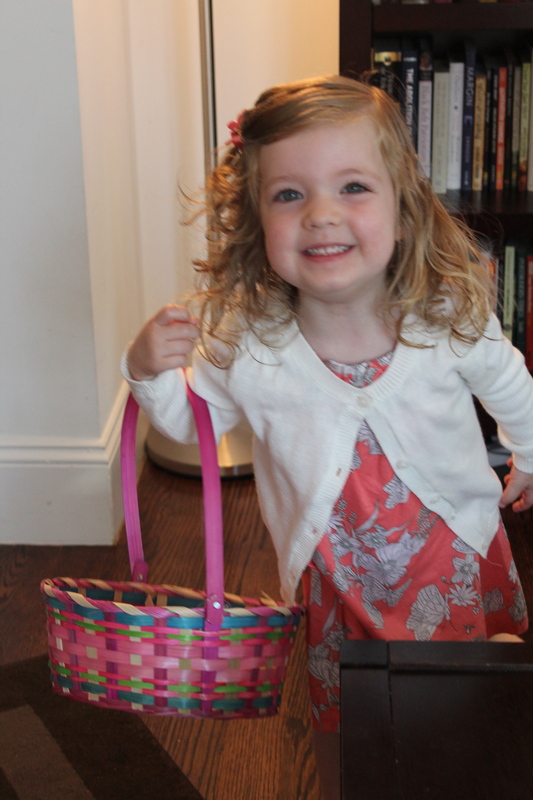 It folds up compactly, which I love, and is sturdy enough for her to sit in it (ha!). 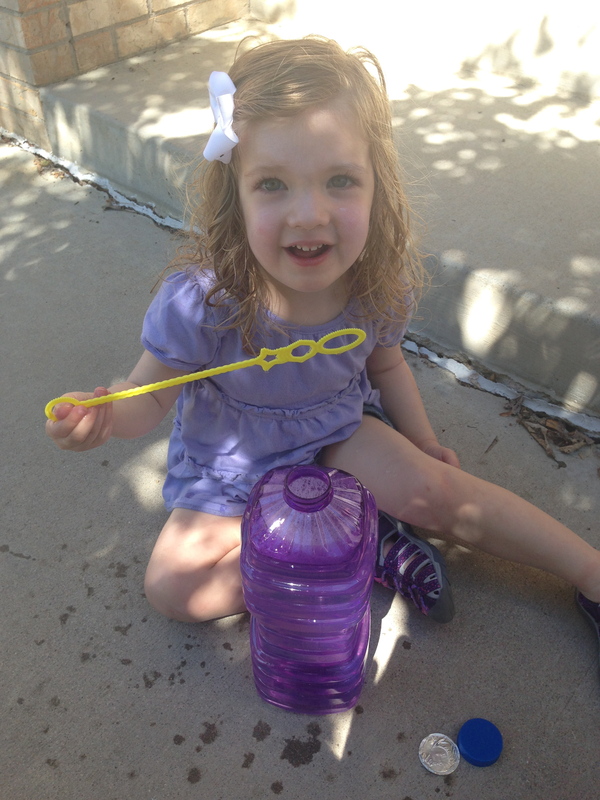 Picnic Basket: this is a toy that has really grown so well with Audrey. 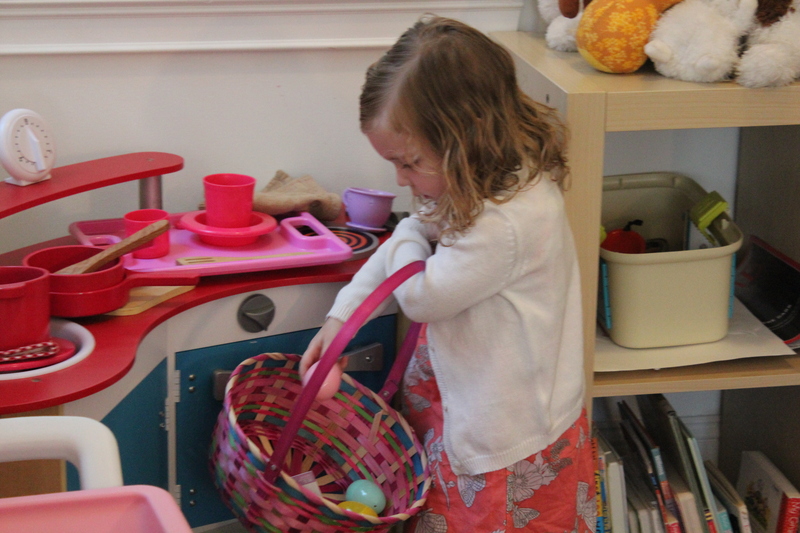 Initially she loved just taking things out, and later she learned how to match the shapes on the plates to the appropriate foods. What have been YOUR favorite gear and toys for the 1-2 year old set?